The miso soup is indispensable to a Japanese home-cooked meal. The miso soup is served daily with most meals. The base for this soup is the miso paste, an all-around seasoning passed down from the old days. The miso is made of soy beans. Soy beans are steamed and smashed into a paste. Then wheat, barley, malted rice, salt is added. The paste is fermented between several months to three years. But most miso found on supermarket shelves have been fermented 6 months to 1 year. The miso was cooked for the first time in China approximately 2,500 years ago. It reached Japan by a Buddhist monk in the seventh century. 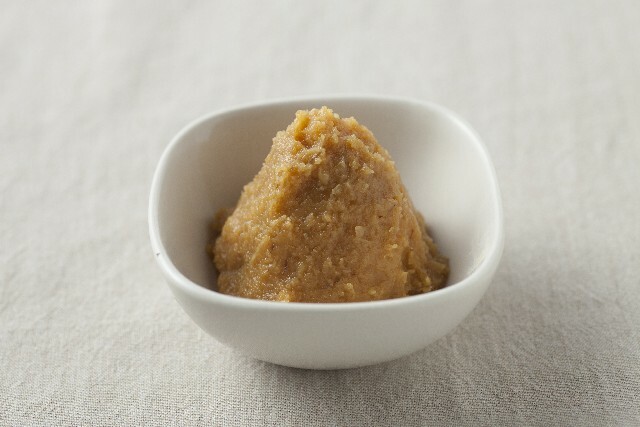 Several hundred years later miso reemerged as a unique product that fit the Japanese taste. People of the Nara era ate miso as a preservation meal. People sometimes ate miso with their sake. It gained popularity with the masses in the Muromachi era. And miso came to be used as seasoning in the Edo era. In the past each family used to make their own miso at home, and the flavors varied by family. 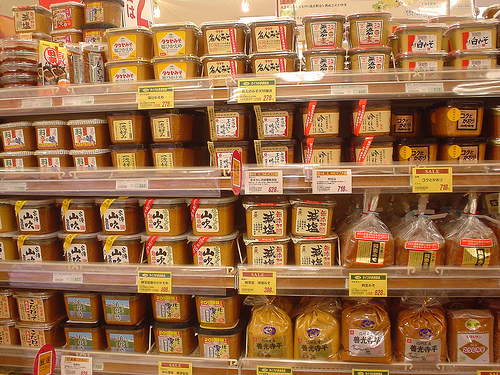 Even today, different regions and food companies make their own unique mix of miso. 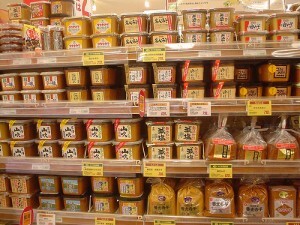 There are many kinds of the miso. The kind of the miso is distributed between four kinds. Rice, a soybean, salt are made as raw materials. Wheat, a soybean, salt are made as raw materials. A soybean, salt are made as raw materials. 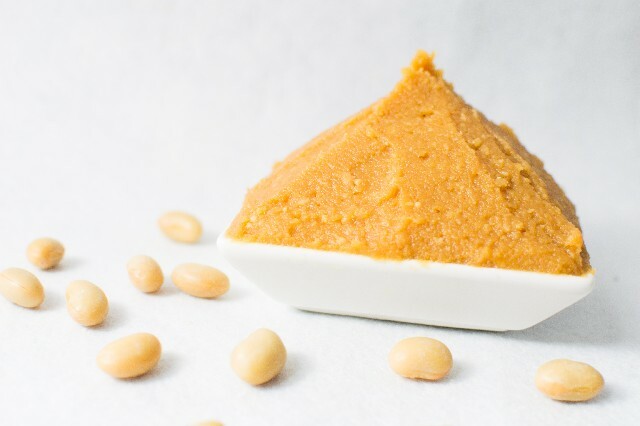 This mixes kome-miso, mugi-miso or mame-miso and makes it. Produced approximately 80% is the kome-miso now. The representative dish using the miso has much soup including miso soup, the pork miso soup. There is work to absorb a smell in the miso. When I boil the strong fish of the smell using miso, it is convenient. And the miso includes a lot of salt. There is the usage to store with meat and a fish as miso pickles. It is said, “the miso does not need a doctor” in Japan from old days. The miso is good for health. Lower the risk of a cancer and the lifestyle-related disease…Control cholesterol…Prevent aging…There is a whitening effect. Most of the Japanese eat miso every day. The miso may contribute to the fact that Japan is a long-lived country.